I’m currently learning about the Scaled Agile Framework (SAFe) so that I can comment on it from a position of knowledge. This path of learning came about after I spent 12 months as a Test Manager on a SAFe implementation. I was new to the organisation & I was new to SAFe. It was a steep & treacherous learning curve which I was (thankfully) eventually removed from. I’m now on the more sedate learning path, where identifying gaps in knowledge & filling them is actively promoted. In my previous posts it transpired I don’t know enough about Systems Thinking in order to comment on it in the context of SAFe. My first goal was to read “Thinking in Systems: A Primer” by Donnella H. Meadows. This is the first post from that book attempting to share my current understanding of Systems Thinking applied to software development. This simple theorem is easily visualized by imagining a bathtub: water enters the tub via the faucet and it exits through the drain, through leaks, or by overflowing the sides. 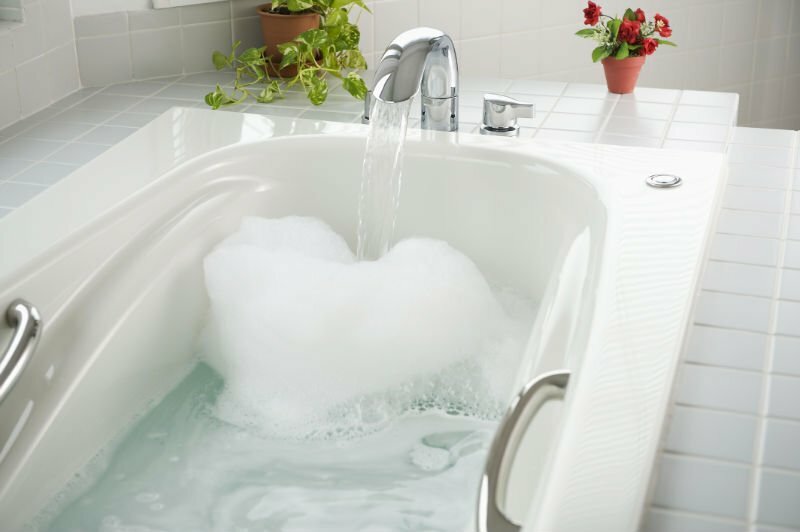 These two flows of water–the inflow and the outflow–together determine the water level and stability of the bathtub. To maintain a constant level, the inflow must equal the outflow. How is this playing out in my head…? Stakeholders turn on the hot & cold taps & start to fill the bath We (the product team) take change requests (new features, bugs, infrastructure changes…) from stakeholders & build software. Team members skills also fit in here. We can change the water temperature by adding more water & we can let water out by pulling the plug We can change the value by adding more new change requests & rewriting existing software (which wasn’t correct the first time). Team members leaving also fits in here for me (losing domain knowledge). OK – I’ll stop with the analogy for now. I’m hoping it’s resonating – I’d love to hear where it doesn’t! To conclude then, the programme I was on did not have the correct balance of inflow to satisfy the stakeholders values. This is because as a programme we didn’t fully understand all the different stakeholders needs. What was valuable for one stakeholder was not valuable for another (think builders vs managers mindsets). This discrepancy didn’t surface until after a stakeholder had raised their red flag, at which point corrections to inflow were made to satisfy that particular stakeholder at the expense of another stakeholder. WRT outflow, we had bugs, rework to previously delivered software & people leaving the programme, taking with them their valuable domain knowledge. I’m thinking my next post should dig a little deeper into the interactions between stakeholders & their expectations using the “System Zoo” modelling example.